A Singaporean Indian dish, Roti Prata is an all time local favorite fit for breakfast, lunch, dinner or supper. 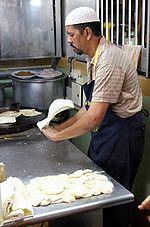 Roti prata is made of dough composed of fat,egg,flour and water a version of Roti Canai in Malay. 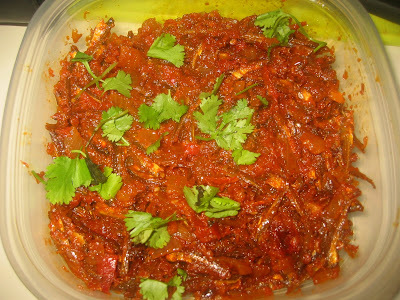 In Singapore you can get various types of prata stuffing like egg prata,chess prata,chocolate prata even banana prata. If you visit Jalan Kayu - easter part of Singapore you can find many more differed types of prata and they are famous in that area. At weekend the lots of cars will be parked at the sides of the road at late night. I have being there many time to have my dinner with my friends.This snaps were taken from the net. Mix together all purpose and wheat flour in a large bowl. Add oil and the rest of the ingredients and make a soft dough. At first the dough will be sticky -don't panic , keep kneading till the dough become soft and pat the dough hard on a clean surface. Cover the dough with a wet cloth for at least 4 hrs. Before making the prata, knead the dough once again with hands.On a clean surface, rub oil. Make small balls off the dough and roll them out like chapatis but in oval shape. Make pleats so as to look like a hand made paper fan. Roll it holding on one end to form around to get the layers formed. Then roll out to make it like a chapati. Make sure to roll only on one side with the chapati stick. Heat a heavy based frying pan or griddle on a medium heat. Place the prata on the griddle on low flame till the prata is ready.Once done, use both hands and pat on the sides of the prata to get the layers. The prata looks good. Can I do with only wheat flour?